New Delhi, July 27 (IANS) Union Home Minister Rajnath Singh on Thursday directed his ministry to expedite the issues related to Chandigarh which are pending with all the central ministries. 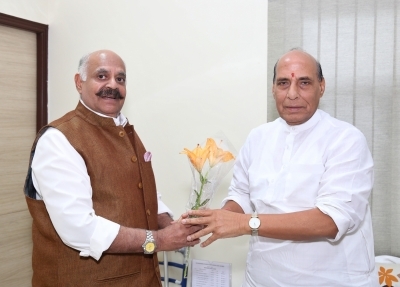 Rajnath Singh’s direction came during the meeting of Home Minister’s Advisory Committee for Chandigarh here in the national capital where issues relating to land, building bylaws, traffic, parking and service matters, among others, were also discussed, a Home Ministry statement said. The Minister, who chaired the meeting, also instructed the home departmet to follow up the issues of Chandigarh that were pending with other ministries advising the Chandigarh administration to look into the issues which were of priority in nature. In the meeting, Chandigarh was represented by Member of Parliament Kirron Kher, Governor of Punjab and Administrator of Chandigarh V.P. 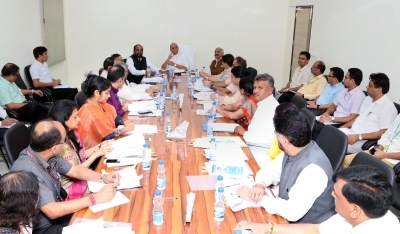 Singh Badnore and others where the members had suggested 46 agenda items relating to different fields of development in the Union Territory, the statement said.